"You’re going to flip when you see these! 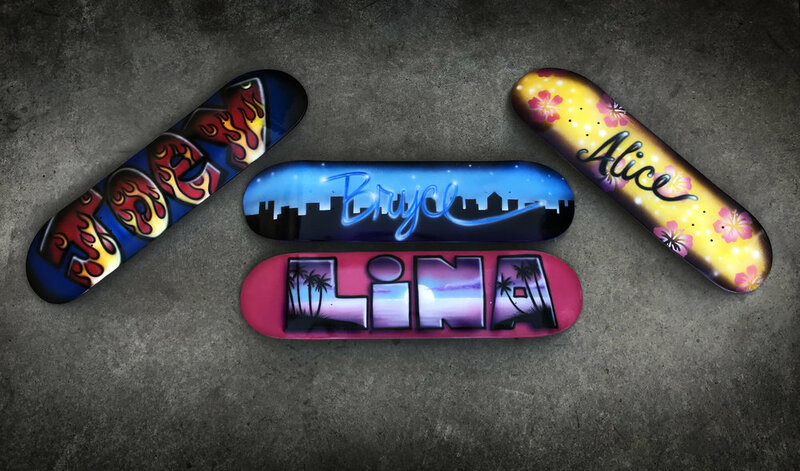 Vita Perfetta Decked Out Skateboards offer you the ultimate mobile canvas. 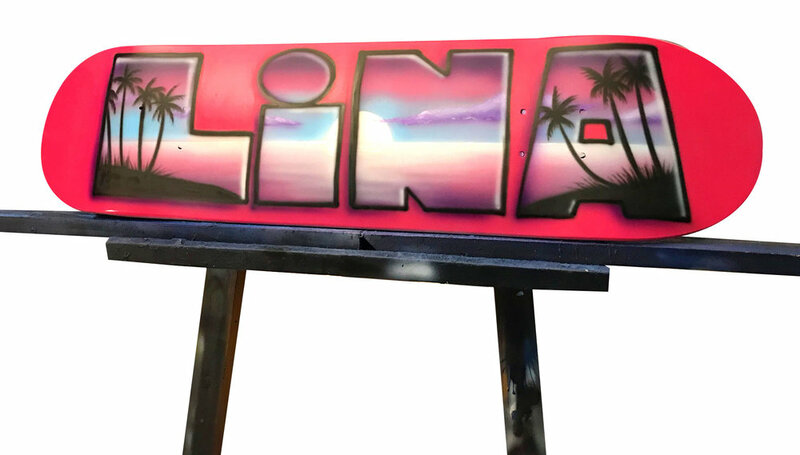 Our artists start with a blank skate deck and can airbrush just about anything your guests would like from calligraphic names to scenic sunsets and starlit skylines. The possibilities will get your guests’ wheels turning as they collaborate on their own one of a kind deck. 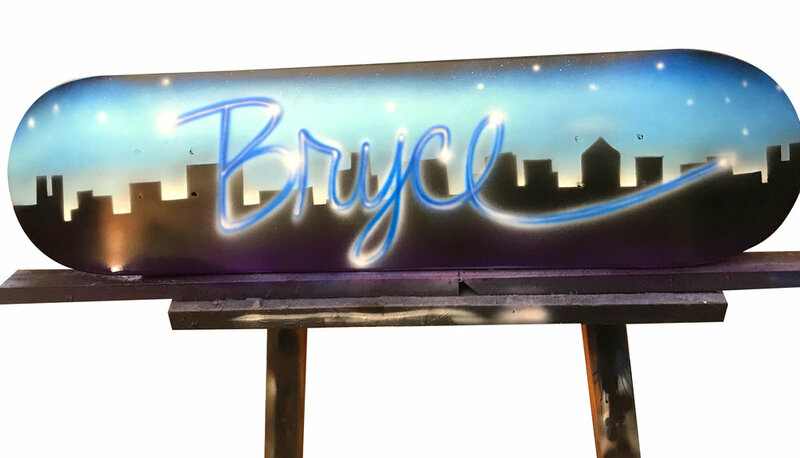 These airbrushed beauties are great for skaters and for those us who are more grounded they make for dazzling home decor. Vita Perfetta Decked Out Skateboards: it’s more than a board, it’s a work of art."